What is the preschool promise and why does it matter to our communities? 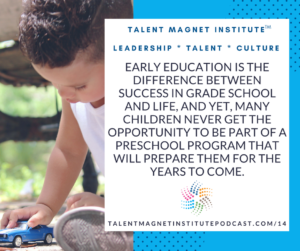 Early education is the difference between success in grade school and life, and yet, many children never get the opportunity to be part of a preschool program that will prepare them for the years to come. It’s a tragedy, which is why people like Shiloh Turner and Florence Malone dedicate their lives to changing that fact. 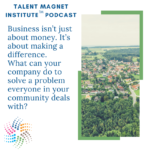 If you, as a leader, want a worthy cause for your business, this episode is for you. So, what is the preschool promise and why does it matter to our communities? It begins with science – early brain development sets a child up for success in school, and ultimately, in life. 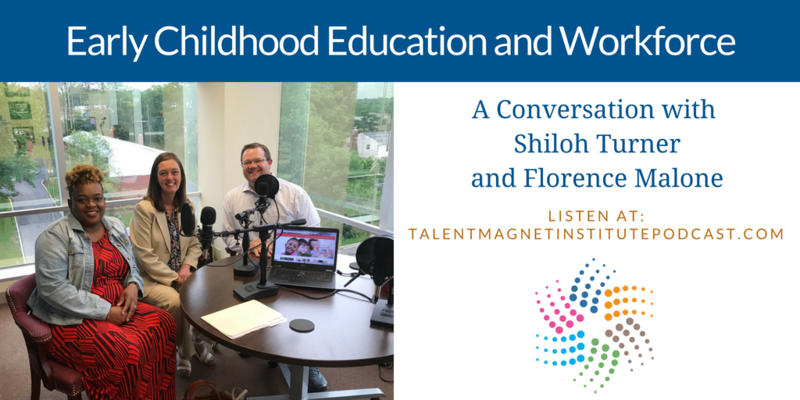 Cincinnati is leading the way by making preschool programs accessible to all families, and Shiloh shares HOW they’re succeeding. There’s a barrier to understanding and communication that exists for some families; they don’t understand the importance of sending their children to preschool. In this case, it’s not just the child’s education that is important. Education is crucial for families, and the first step to that, according to Florence, is identifying what the barrier actually is. Beyond sitting down with families, it’s important to raise awareness through outreach in the community. Shiloh shares some of the strategies she uses to get the word out to the community. It doesn’t just help families. 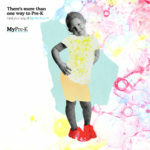 There are many community-minded businesses that learn about the Cincinnati Preschool Promise and want to get involved. We mentioned that early brain development in children is crucial to their success. But it isn’t just in academics; the implications are far-reaching. You might not be aware, but 90% of brain development happens by the time the child reaches 5 years old. This includes language, being able to relate to others, social situations and more. Consider: by the age of 3, there’s a 30-million-word gap between the children of the wealthiest families and those who don’t have the same financial means. Shiloh believes this comes from exposure to more opportunities to learn. Shiloh talks about how the first year of Cincinnati Preschool Promise was very much like a start-up, and as a leader, you’ll empathize with what it was like. 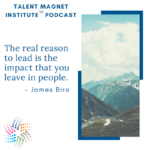 She and Florence share the great successes they’ve had along the way, and the outcomes of all the hard work they put in to build the organization the right way. Every day, the number of families they help is growing. 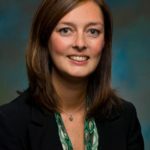 Florence is passionate about getting families involved, about giving them choices on what works best for them that results in their children receiving an early education. She shares some of the stories and some of what she personally does that shows every single child matters. It’s more than just words, and her dedication will inspire you. It’s so important to meet families where they are in the process of informing them about the Cincinnati Preschool Promise program, and it’s equally important to be persistent. Florence shares the story of one very busy mom she didn’t give up on. Every accredited preschool has a quality rating, but that quality rating doesn’t always fall in line with what is important to parents. Part of what Cincinnati Preschool Promise does is to match parents’ wants with the center that works best for them. And the other part is to work with the centers who might have a lower rating to help them improve their score. Early education programs aren’t limited to the Cincinnati area. Across the US, many areas are recognizing the important of starting early, and Shiloh shares some of the leaders who are forging the path and finding the best ways to do things. As a business leader, are any of these centers near you? If so, how can you get involved? You might not have considered the confidence factor when a child who hasn’t gone to preschool enters grade school for the first time. They are behind, and rather than speak out and admit that, they end up ‘going in the corner’ and are embarrassed to ask for help. Mike, Florence, and Shiloh talk about the long-term effect of this on the mental health of a child. Cincinnati Preschool Promise relies on partnerships with not just schools, but also businesses. If you’re interested in getting involved with early education for children, Shiloh has some incredible ways you can get involved, even if you aren’t in the Cincinnati area. There are countless ways.